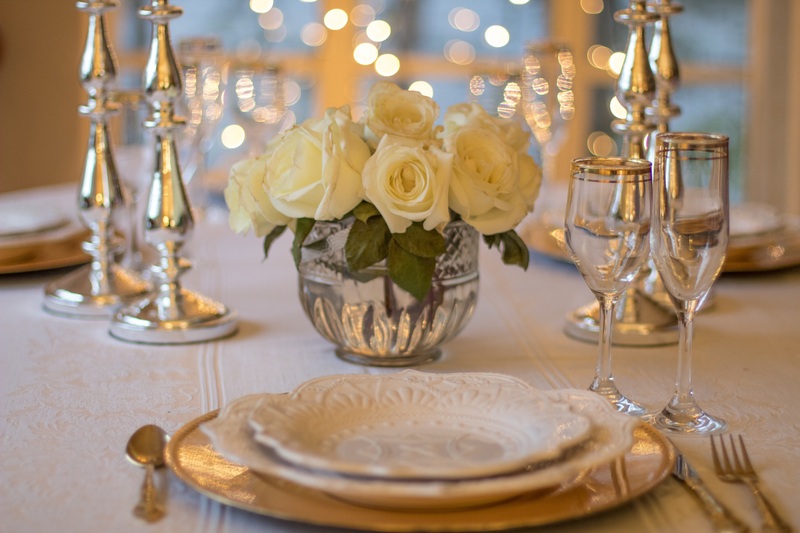 To create a romantic tablescape at home to celebrate Valentine’s Day, give some thought to the vibe and aesthetic you and your loved one(s) like best… Bold and dramatic, or subtle and modern. If you lean towards the classics, embrace red as your motif and accent with deep pinks and pop of a bright favorite color to keep it from looking too cliché. Invest in some great colored cotton napkins, which you can fold then twist into spirals for a single ‘bloom’ to place on top of each plate. Look for a ruby red accent glass, for water (or wine!) at a local shop to add rich color to the table. A beautiful colored linen in a saturated color, such as marigold, keeps the table from feeling too over the top and sets the stage for layering placemats or a runner. 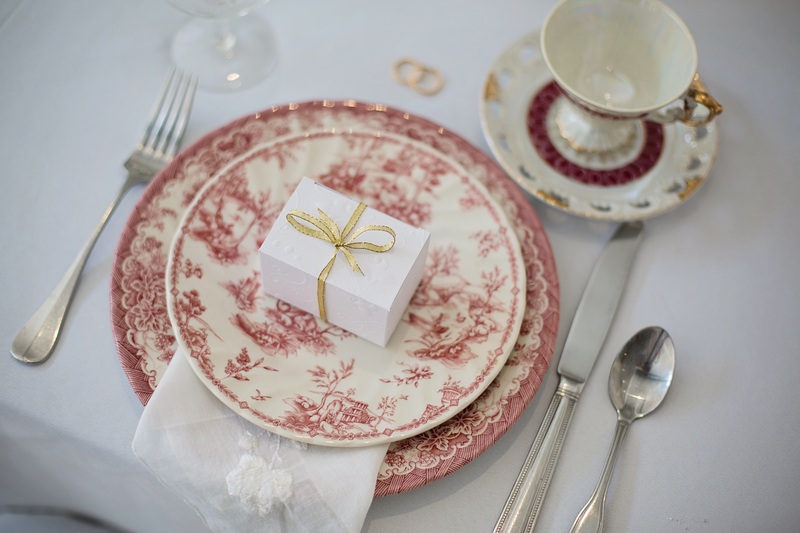 Now is the time to break out your finest china and stemware. 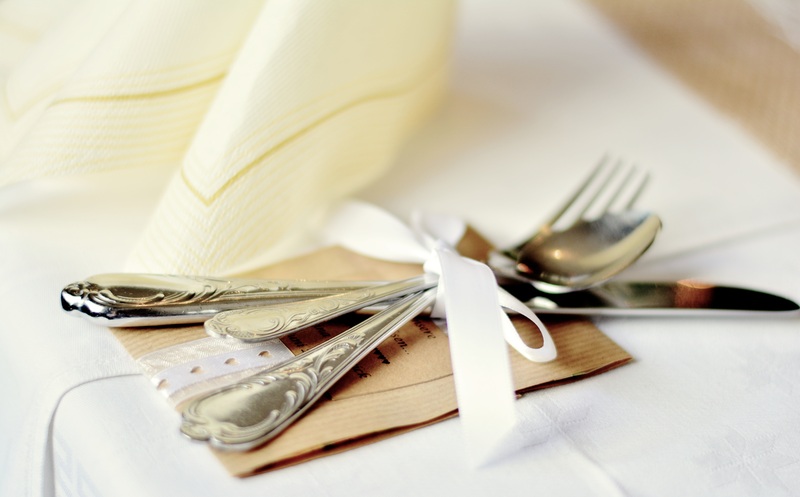 For a quick and chic touch, use a slender velvet ribbon, readily sourced at your local craft store to tie your flatware. 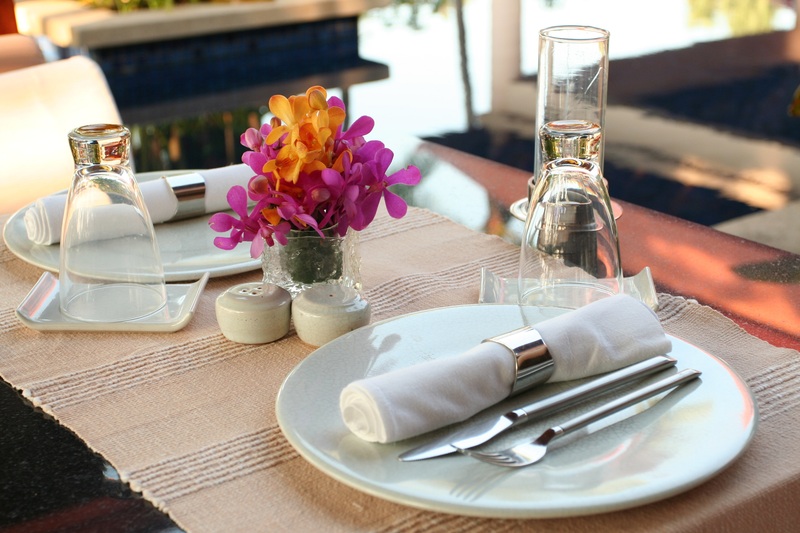 Ample candlelight always invokes romance and if you’re dining a déux. Florals are a must, so we suggest some small floral arrangements in low, miniature containers. This is a wonderful way to bring in flowers at any budget. Scatter your companion’s favorite (wrapped) chocolates on the table for a sweet surprise. Looking for something outside the box? Many online companies allow you to custom create messages for one-of-a-kind fortune cookies – make it as romantic or playful as you want. For the ultimate cozy atmosphere, drape a cozy throw on the backs of the dining chairs and relax. For a more modern spin on the holiday, go with a graphic black and white backdrop with bright red and purple accents so that the color really pops! Silver accents, with flatware and votive candle holders or a small candelabra, are a great facet to introduce for some sleek sparkle and shine. Bring in a black and white letter board to spell out your feelings and have some fun with your message. You can add a few florals with a big punch…fill a small square or rectangle glass container with white or black jelly beans and pop in few deep red roses in water tubes, with just the bloom heads visible, for texture and color. Curate a great love-centric playlist in advance, a menu you both love, and your favorite wine or cocktail. There is nothing more romantic than making a creative and heartfelt effort to be romantic at home!